Downtown Greenbelt in 1938. Photograph courtesy of Library of Congress/Crowley Company. Years later, those experiences helped guide Hurley toward a career covering urban planning, and when she was looking for a subject for her first book, she thought back to those trips. The result is Radical Suburbs, which looks at six bedroom communities around the country that have, for various reasons, defied stereotypes about the burbs. 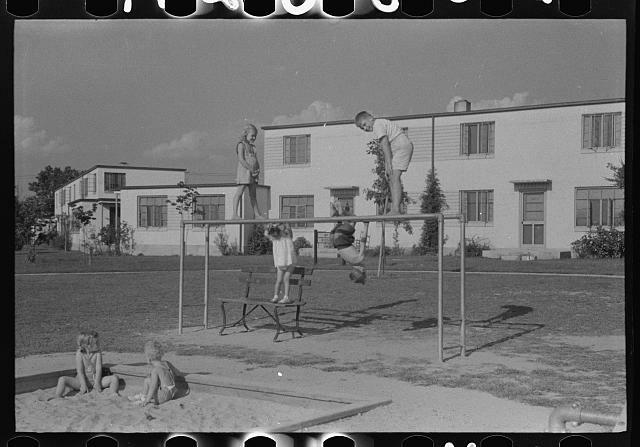 Children playing in Greenbelt, 1938. Photograph courtesy of Library of Congress. One of the places she digs into is Greenbelt, created by the federal government as a cooperative community in 1935 to ease Depression-era urban crowding. To learn more about its history, I made the trip out to the last stop on the Green Line one afternoon to meet the author for a tour. After we connected at a plaza in the middle of the historic town center, Hurley described how controversial Greenbelt’s founding was, given the whiff of socialism associated with a government-funded collective city. Hurley guided me up a winding path toward a series of low-slung, modernist apartment buildings. What looked to me like any other suburban complex was, she said, considered experimental and exciting when it opened, thanks to Art Deco and Bauhaus-like touches. The idea was to “make an architectural statement that they were looking forward to the future,” she said. 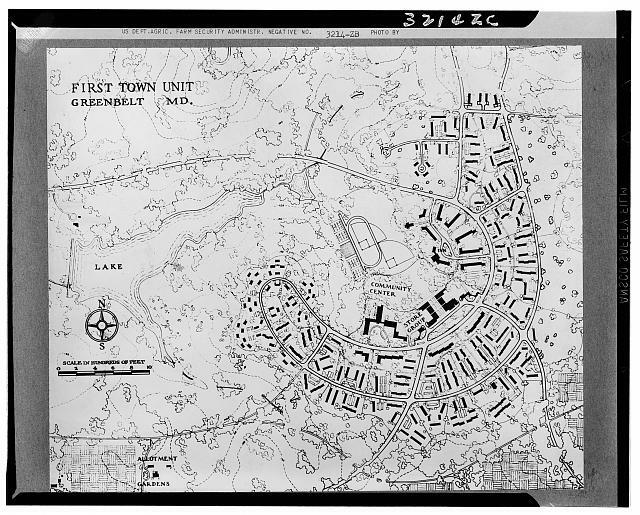 A map of Greenbelt’s first town unit, 1936. Photograph courtesy of Library of Congress. 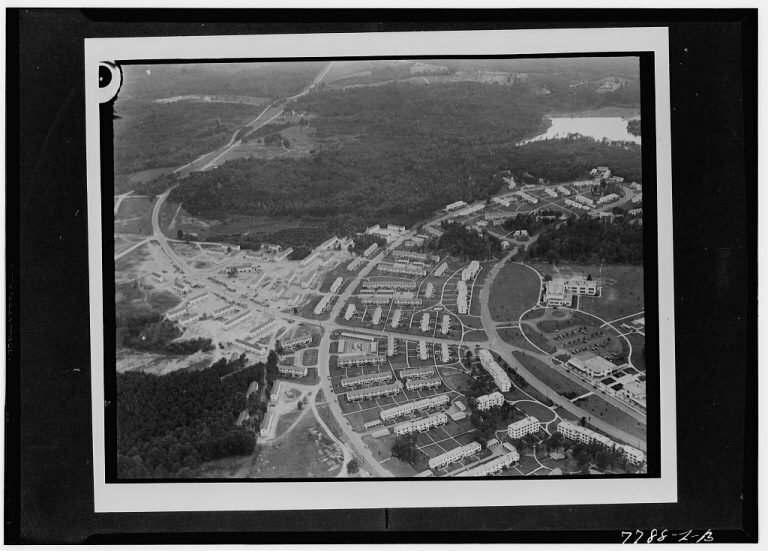 Greenbelt in 1941. Photograph courtesy of Library of Congress. Greenbelt is full of cool innovations, if you’re with someone who knows where to look. Hurley pointed out rowhouse clusters that face inward toward communal green spaces rather than having a traditional front door opening onto the street. And while the network of pedestrian pathways and underpasses might not seem notable now, in the 1930s they were unusual. But the most radical idea was the notion that the government could provide affordable housing that people would actually want to live in. 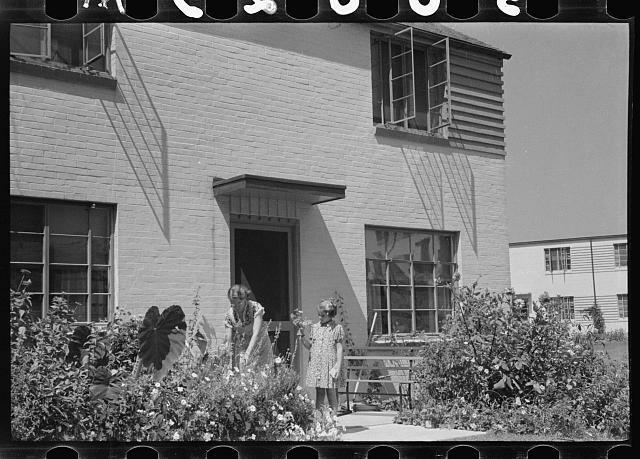 Greenbelt, 1938. Photograph courtesy of Library of Congress.